Preheat oven to 375 degrees. Grease an 8”x4” loaf pan and set aside. In a large bowl with a standing or hand mixer, mix together cheese, flour, sugar, baking powder, salt and pepper. With the mixer running, slowly pour in beer and continue mixing until just moistened and a dough forms. Transfer dough to the loaf pan and brush top with melted butter. Bake 50 to 55 minutes, until golden brown and a toothpick inserted in the center comes out clean. Cool in the pan for 15 minutes then remove to a wire rack. Slice and serve. 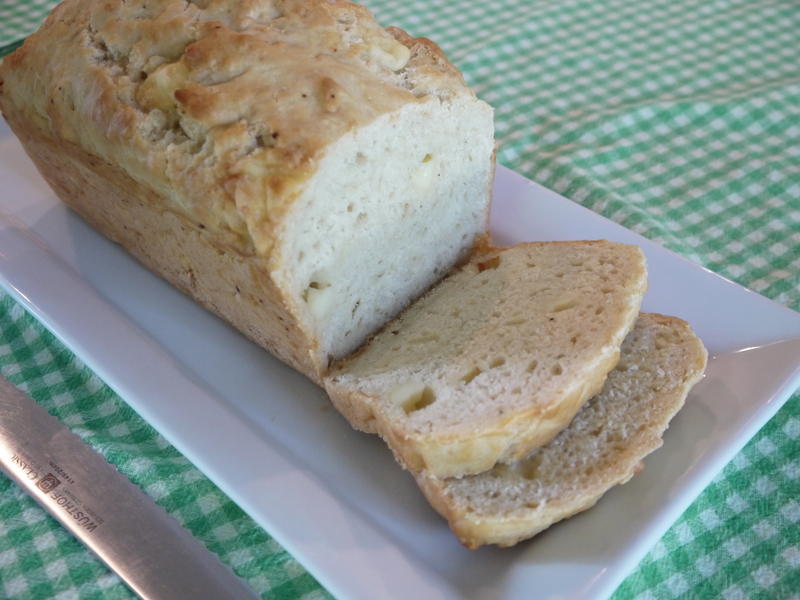 This homemade bread is especially easy and exceptionally quick; thanks to the lack of yeast, there’s no fuss with rising or resting times. The base is uncomplicated (flour, sugar, and baking powder) and its increments of three make this recipe one you can make from memory. The sharp cheddar works well with the slightly bitter taste from the beer, and Kenzinger’s flavor may even be more obvious than that of the cheese. 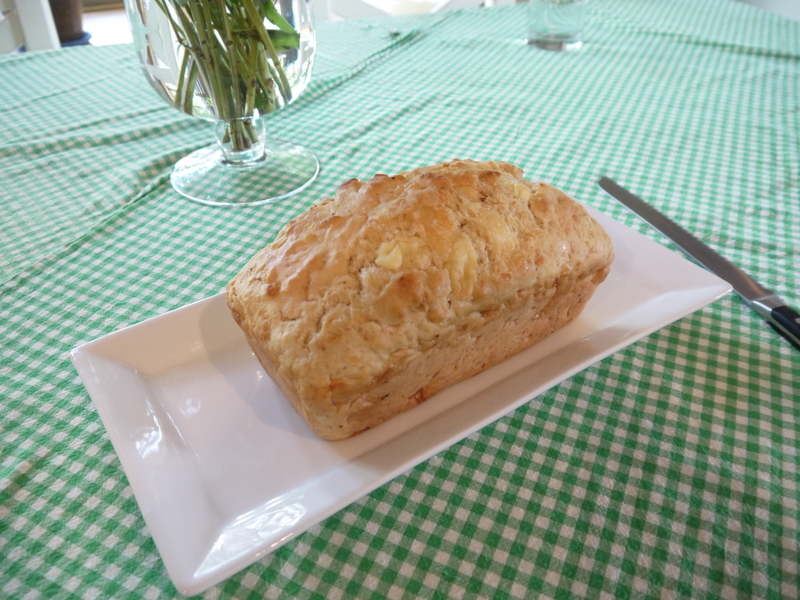 The bread is soft and moist and delicious served with soft butter as an accompaniment to a main dish. If you like to experiment, switch up the cheese and beer to create your own version. Made with lots of love…and beer.